There was a phenomenon called sunshine during day 1 of the Leinster Track and Field Championship being held at Morton Stadium in Santry on Wednesday 16th May 2018. 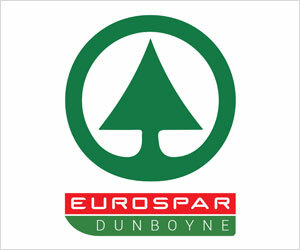 It was the younger age groups in action on day 1, with Dunboyne AC athletes in action in the colours of several schools such as St Peters, Mount Sackville etc. 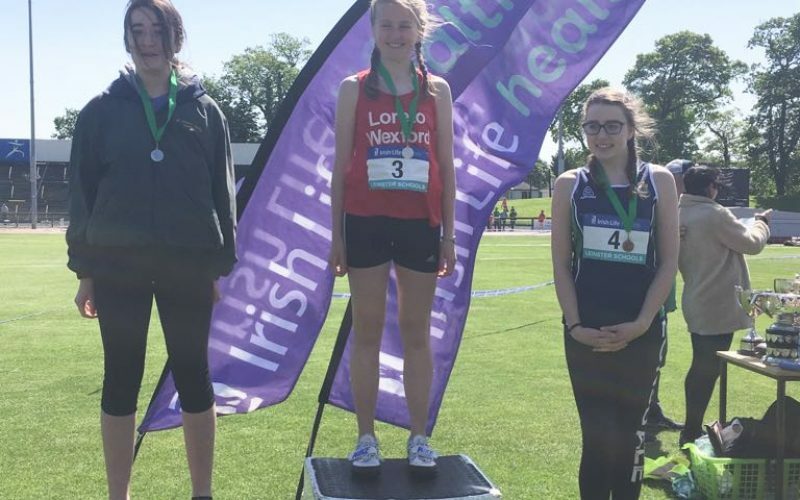 In the minor age group Sarah Nyhan was the first competitor in action and she showed her blossoming throwing talent as she threw close to a PB as she claimed silver in the discus. 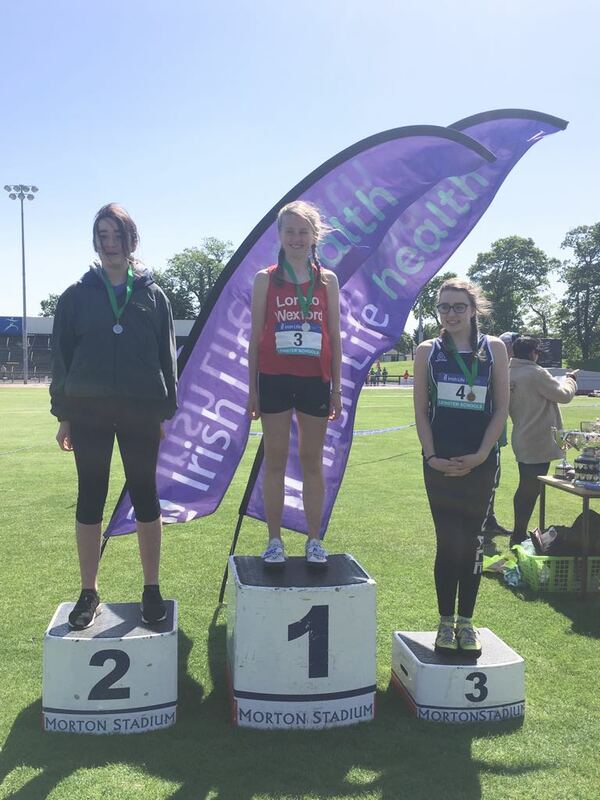 She showed further high levels of her strength as she took another silver medal later in the afternoon in the Shot Putt competition- a double medal tally at Leinsters Schools is some achievement. Kayla Ryan was in action in a very entertaining minor Girls 800m where she timed her final move to perfection as she stormed home in 1st taking some major scalps in the process. Sophie Dolan took a break from her Duathlon training to compete in the minor girls 1100m where she kept with a fast pace finishing just outside the medals. 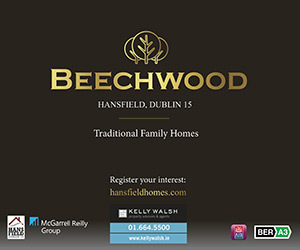 Holly Conlon was in action in the same race and had a fine race herself as she came in close behind Sophie. The minor team made up of Lucy Eglington, Kayla Ryan, Kate Griffin and Rachael Norman capped off a good day for the St Peters minor girls as they accelerated to the front in the 4 by 100m relay a position they held until they were pipped right on the line for a top spot on podium- however silver was a no mean feat at this exhibition of Athletics. 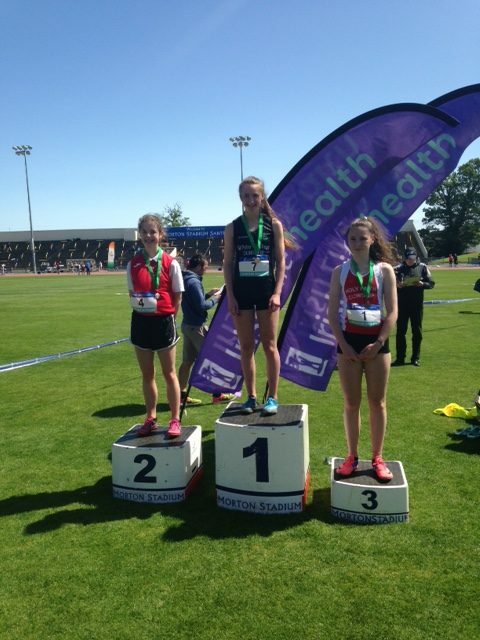 Dunboyne AC had it’s second Leinster crown within minutes of the first when Doireann Ni Flatharta made an early move in the Junior Girls 800m to cruise to a comfortable win the sunshine. Aoife McCormack was our second Junior athlete in action as she lined out in the 1500m where she came up against some formidable opposition. Aoife held her own in a very fast race to come home just shy of a PB. 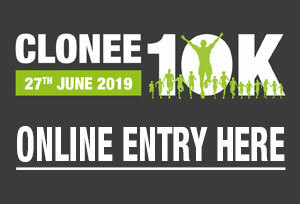 Last up on Wednesday was the ever smiling Katie Greene who was in action in the under 16 mile, as always Katie ran a controlled even paced race to end the day with another good performance from the Dunboyne AC perspective. Well done to all the teaching staff at schools, a good days’ entertainment.